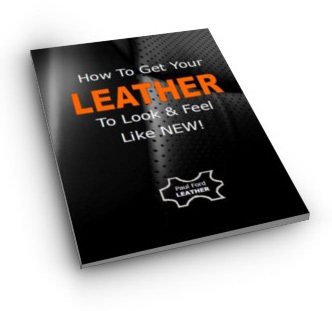 Leather Help is all about providing helpful information and advice, showing you what to do and where to turn to get the absolute best from your leather. 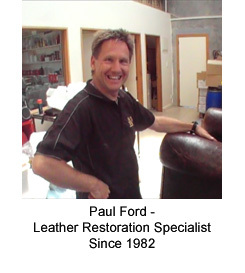 My name is Paul Ford and I've been professionally restoring leather since 1982. What this means is, you're about to tap into over 30 years experience ... so rest-assured, you're in good hands. If you would like to see some examples of my work, have a look at www.PaulFordLeather.co.nz. To help you find the right information, I've listed some of the most popular sections below. Over the years I've experimented, tried and tested many different cleaners and conditioners but disappointingly, most didn't do what I expected. In the end, it all came down to a very simple leather care system which I'm now using for professional work. If you are serious about keeping your leather in top condition, here are some important things you should know. One of the benefits of owning leather is, damage can easily be fixed and made to look virtually invisible. If your leather is scuffed, grazed, rubbed, scratched or even cat scratched, these can easily be fixed without any special equipment. You don't have to put up with this sort of damage any longer, let me show you what's possible. Can Worn, Faded And Discolour Leather Be Restored? 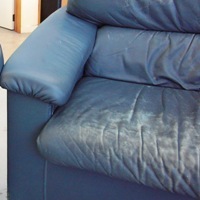 Many people think that when their leather starts looking worn and tired, it's past its used-by-date. The truth is, most of the time it's the colour or the finish that's worn through or discoloured. There's no need to replace it or have it recovered. Even the most novice DIYer can restore their leather to its original look, feel and colour. 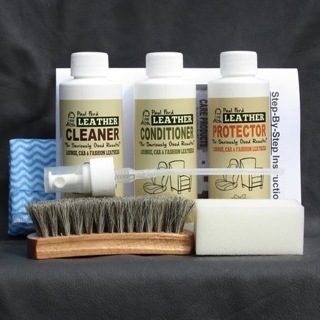 I have a full range of leather care and restoration products now available direct from my workshop. I personally use these same products in my professional work ... so they are seriously good! Leather cleaners, conditioners, protectors and also repair and colour restoration products you can use to fix and recolour your own leather. Would You Rather Have It Done Professionally? I am based in Timaru, NZ, but work is sent to me from all around the country. If you would rather deal with a specialist closer to you, I have a list here. If you want some help and advice with your leather, or you are unsure about anything, I am more than happy to assist you. Just go to the contact page, send me some pictures, or an email or give me a call.